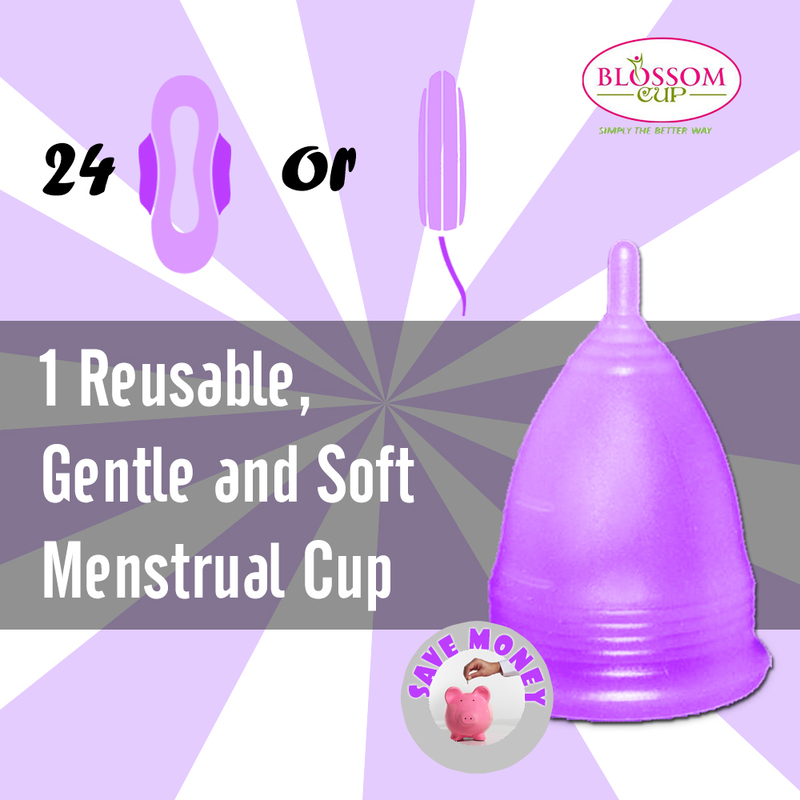 If you looking for a safe alternative to maxi pads or pads, Blossom Cup might be the product for you. This was my first experience using a menstrual cup and I will admit they really scare me. I am not gonna lie it took me a few times to get it right. But once I did I found it very comfortable. This but comes in 2 sizes L and small and 3 different colors - blue, pink or purple. These cups are also a great way to find out more about your body. It makes it easy to determine your true monthly flow, I now I was thinking I would have issues with volume. When in truth I found out I was not bleeding to death every month, as I had been thinking since I was a teen. I really wish I had known just how not scarey these are. I am happy having a pre-teen daughter that I can bring her another choice as to what she can use. Would you like to try one for yourself? Enter my giveaway today! Good luck! 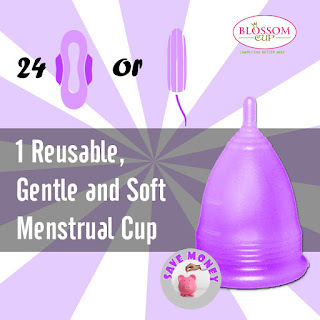 Blossom Menstrual cup works by being inserted into the the body the same way an organic tampon or a tampax tampon is and then it is removed by pulling at the stem bit the way you would pull a tampon string. The contents are disposable into the toilet and the cup can then be re-inserted. Caring for your blossom Menstrual cup is also very easy. Simply wash with water during use and washed with soap and using hydrogen peroxide or vinegar. You can also boil it for 5 minutes to sterilize completely. You can then store your Blossom Menstrual Cups at room temperature in a dry state until it is again needed. The blossom menstrual cup is easy to use, softer, and pliable with superior protection. So go ahead and choose the better way. Choose the Blossom cup. 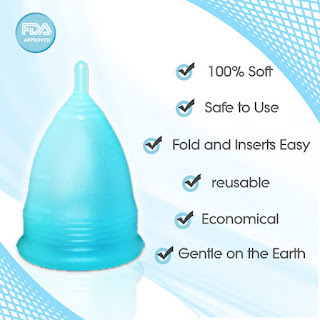 HIGH QUALITY : Our Menstrual Cups are made of 100% BPA-FREE FDA Approved Food Grade Silicone. Not Rubber or Plastic! SAFE, Reusable, Long-Lasting, Effective. FREE BONUS: Quality hygiene pouch Case, Instruction Guide & Lasts up to 15 years of regular use!